UNESCO has designated only three traditional cuisines in the world as worthy of being called “cultural treasures”. France, Japan, and Mexico. All three are well deserved, but I think Mexican cuisine is probably the most surprising one on this short list (at least to my Japanese food tour guide, who happened to be French). Mexican food is unthinkably delicious. 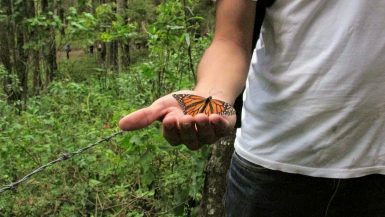 Mexican indigenous culinary techniques have been passed down from generations, and everything from farming techniques to cooking has been perfected to maximize flavor. It’s not rare to see recipes that are thousands of years old from Aztec, Mayan, and other indigenous Mexican cultures. One of the things I love the most about Mexican food is the accessibility. There is no snobbery in Mexican cuisine unlike other more “couture” ways of eating (I’m looking at you France). Mexican food has a deceptively humble appearance for how damn good it tastes. 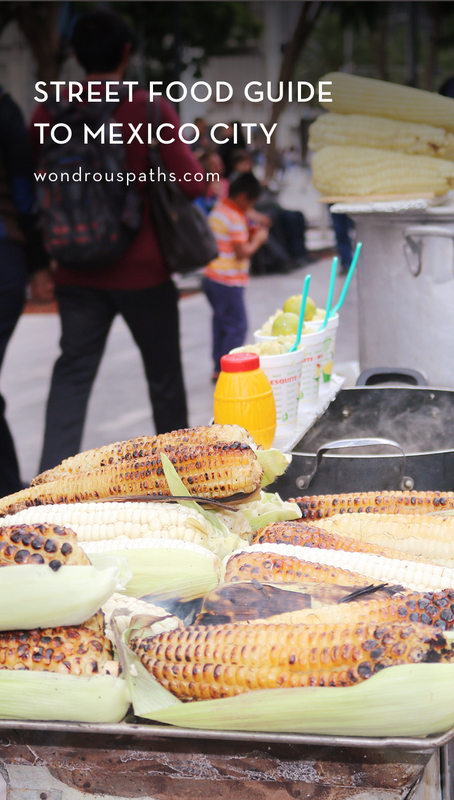 As a non Mexican visiting Mexico City, you might have some nervousness about eating street food and the effects on your tummy. If you take some precautions you can (probably) avoid it. Avoid unbottled water (especially ice), bring Imodium, hand sanitizer, and get a prescription for an antibiotic like Cipro if you are really worried. Some people swear by probiotics like yogurt and acidophillus to get their gut fauna extra strong before visiting. 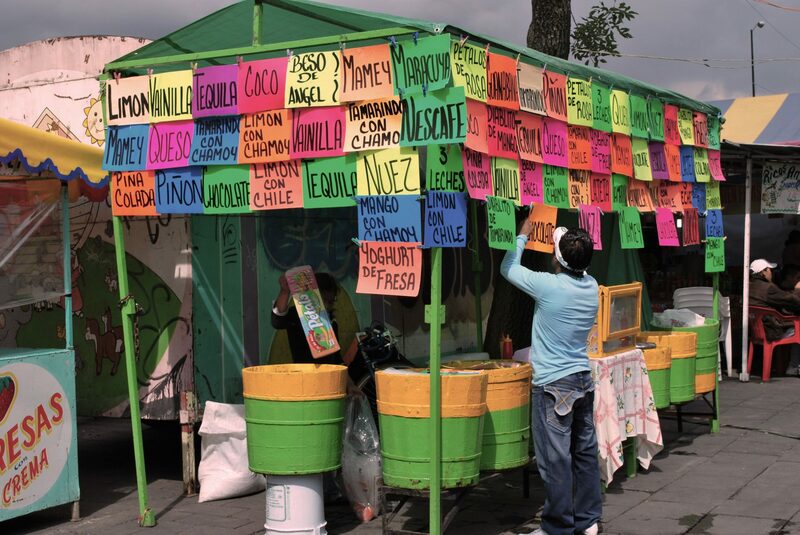 Street food in Mexico City has been lauded as the best in the world, so don’t be afraid to try things! If you live in the US, you’ve probably seen this tasty snack for sale at street fairs somewhere in your life. 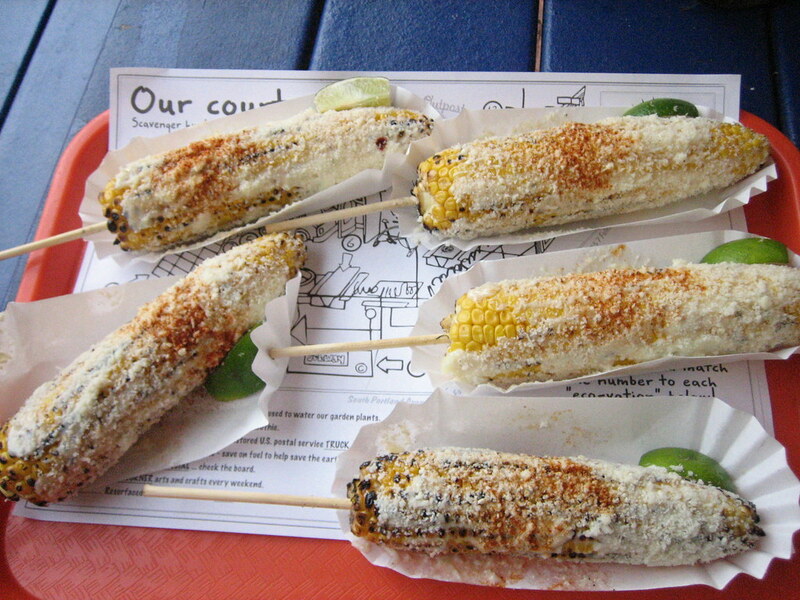 Creamy chili, garlic, mayo, and Cotija cheese blend together on a grilled corn on the cob for total yumminess. 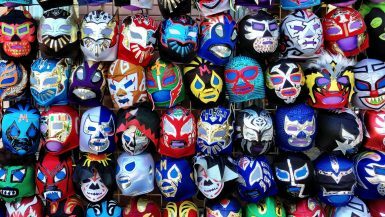 If you can name it, chances are you can find it in Mexico City covered in chili powder (con chili). Fruit cups with anything from mango, pineapple, watermelon, jicama, cucumber, or coconut, often flavored with chamoy and lime. If you need a quick and tasty drink, I definitely recommend finding a street vendor selling licuados. This drink is made to order and blended with a mix of milk, water, sugar or honey, and fresh fruit. Occasionally they have almonds or walnuts, so be careful if you have an allergy. Ahh, sandwiches. Mexico City has elevated the simple sandwich to a high art form. You can have them for breakfast, lunch, and dinner. Mexican tortas are ideally served on a telera bun (the softest kind) with avocados and refried beans on both sides of the inside with an oregano tomato blend for flavor. Salted onions and queso fresco are favorite topping as well, with your choice of protein, served hot! Try tamal tortas, milanesas, cubanas, carnitas… al pastor… there are probably thousands of variations of tortas in Mexico City alone. Everyone has their favorite! You’ve probably had a cinnamon covered churro somewhere before. Maybe with a side of chocolate dipping sauce. Churros in CDMX go so much more beyond that. Look for stalls staffed by churreros (churro masters!) outside street fairs and markets with dozens of flavors. I had a strawberry cream filled one and it blew my friggin’ mind. Caramel, vanilla, chocolate, cheesecake, fruit jams. These are fillings, not sauces. Why does no one else sell them with fillings?? This is extremely puzzling to me. Nothing beats a tamal as a breakfast or lunch snack. Many people already know about tamales, but for those who don’t, please try one of these steamed corn husk treats. Making tamales is a long and arduous process, but the payoff is absolutely worth it. Street vendors sell them from giant pots. The most common fillings are pork and chicken with red or green sauce, but you can get tamales in any flavor imaginable… try a tamal de dulce (sweet tamal). Blue corn sweet tamales ? Popsicles? What’s special about them? If you’re in Mexico City, you have to try at least a few popsicles (paletas). I guarantee unless you are Mexican or Central American heritage you are going to run into a few flavors you’ve never tried before. Some flavors are not unusual to find in the U.S.: chocolate, lime, vanilla, caramel, strawberry, watermelon. Some are prepared with large slices of fruit wedged before freezing: kiwi, tamarind, passion fruit, mango with chili. Some are just special: rice pudding flavor, tres leches, cherimoya, cajeta (caramelized milk), nopal (prickly pear aka cactus), guanaban (soursop), tuna (cactus fruit, not the fish), cucumber, mezcal, rose petal, even skunk and snake at some ice cream festivals. Keep an eye out for La Michoacana (Michoacan woman), a popular ice cream shop chain if you want to try some of these unusual flavors. Tacos. The king of all street foods. I didn’t forget you, dear tacos. Like everything else on this list, tacos are essential to try in Mexico City and come in so many flavors. Probably thousands. 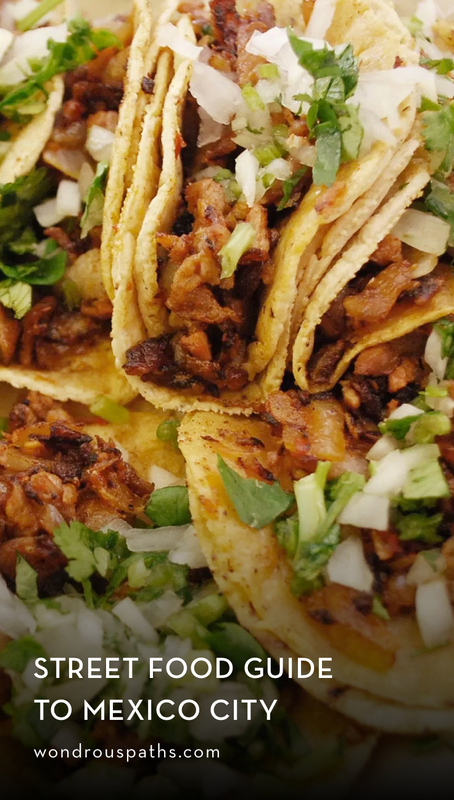 Al pastor tacos are widely considered the emblematic food of Mexico City, like New York pizza or Chicago hot dogs. Do yourself a favor and try a flavor you’ve never considered before. If you’re squeamish about offal or other body parts, try lengua, or beef tongue. Chorizo, barbacoa (of any meat type), and bistek are good choices if you aren’t feeling super adventurous. Cochinita pibil is another essential, using a method of marination from the Yucatan peninsula and ancient Mayan culture. Another must try (and a little more vegetarian friendly option) is nopales, or prickly pear/cactus. To me it tastes sort of like a mix between a cooked green pepper and a cucumber. Delicious!